Since 1872, Polli has been a leading, regional producer of jarring and canning Italian agricultural items. 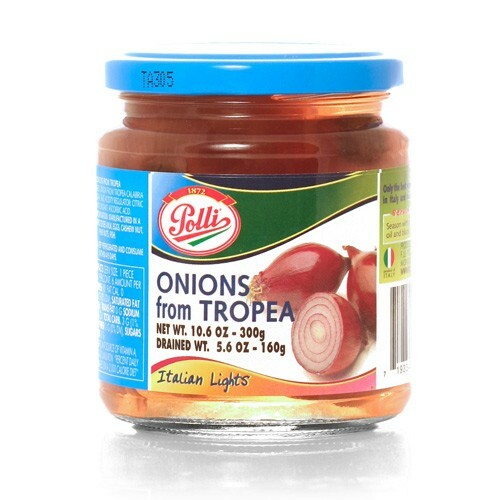 The southern Italian town of Tropea has been known for its microclimate ideal for onion growing. This is a delicious item for an antipasto course or top of pizzas and in sandwiches.